The birthplace of Trainwreck has been accurately identified, it comes directly from an elite clone that was obtained from different Sativas and that was then kept in Arcata, Humboldt Bay, California. 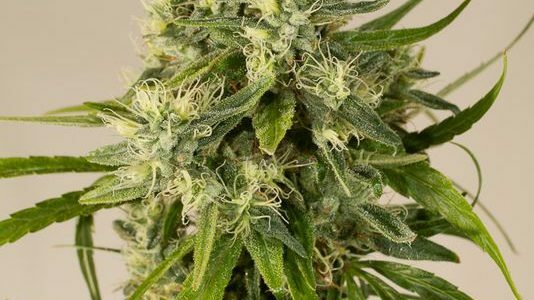 This vigorous marijuana plant stands out immediately because of its genetics, which results in a remarkable production of large compact buds covered in a coat of glistening resin. Stretching vigorously, it is advisable to control its growth indoors. Outdoors, it enjoys temperate, warm, dry and Mediterranean climates as well as the greenhouse. A must have in the garden of every Sativa connoisseur. Narcotic effect As if crushed by a train The aroma of Trainwreck is a blend of spicy Kush, cedar and sour fruit while the flavour has hints of citrus, oil, exotic woods and spices. The powerful effect is clearly narcotic at first evolving then into a long-lasting body effect. A powerful hybrid for the enjoyment of all. This entry was posted in Humboldt seeds Feminised. Bookmark the permalink.